I'm posting up a great video that Kevin HockeyShare.com has put together. This goes right along with what I teach my players. 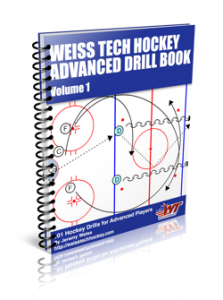 I've got a drill I run where the players crash the front of the net looking for a pass from behind the net. The idea is that they make a quick shot. No stick-handling or getting pretty with the puck. Just a quick push shot from a low position. Update: I ran this drill in practice with the players coming at a coach. At the younger age, I decided to have them make their move well before the stick (as opposed to approaching the player and trying to go thru him). This gave them the opportunity to make their move and get off the quick shot.